Last year, Scotland was accepted to be part of the Pioneer Tier of the Open Government Partnership, a pilot program consisting of 15 subnational governments with action plans to open up government throughout 2017. This handed Scotland a unique opportunity to show itself as an exemplar for what can be done and what all countries should aspire to when delivering democracy. The OGP Subnational Pilot Program consists of 15 subnational governments who submitted Action Plans and signed onto the Subnational Declaration at the Paris Global OGP Summit, and will be implementing them throughout 2017. Financial Transparency: to clearly explain how public finances work, so people can understand how money flows into and out of the Scottish Government, to support public spending in Scotland. Measure Scotland’s progress: by making understandable information available through the National Performance Framework, which will be reviewed to reflect our commitments to Human Rights and the Sustainable Development Goals. Deliver a Fairer Scotland: Through implementation of the actions developed with civil society through the Fairer Scotland action plan. Participatory Budgeting: To empower communities through direct action ensuring they have influence over setting budget priorities. Increasing Participation: improving citizen participation in local democracy and developing skills to make sure public services are designed with input from users and with user needs to the fore. The Scottish Government has now published a six month update on progress with the five commitments in the Scottish action plan. The update can be accessed here. If you would like to know more about any of the commitments, or the action plan more widely, please join Scotland’s Open Government Forum or contact the Scottish Government’s Ingage Team or the Scottish Council for Voluntary Organisations. With a membership that’s nearly doubled in five months, and one that boasts an impressive cross-section of civil society, Scotland’s Open Government Network has brought more than 200 people together to help make government more open. Stay up to date with the latest events in Scotland. 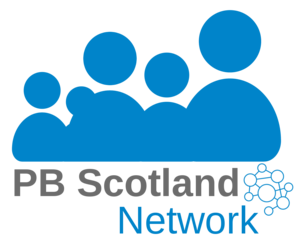 You can also join Scotland’s Open Government Network and take part in forum discussions.